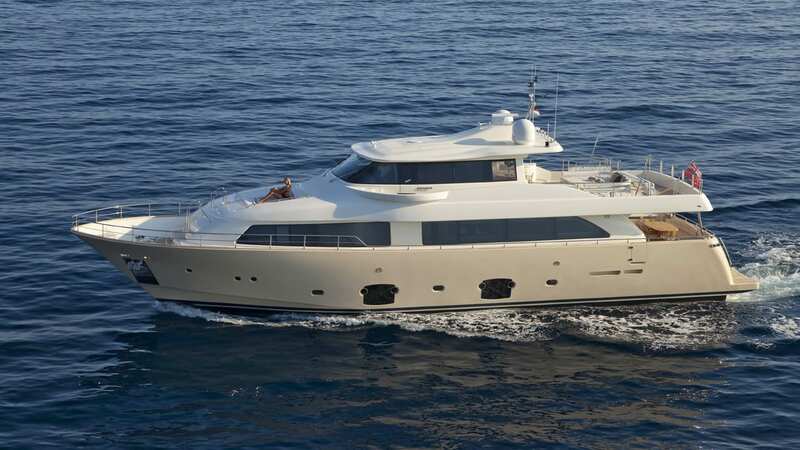 Luxury motor yacht LA PAUSA is a custom Line Ferretti Navetta 26 built in 2010. 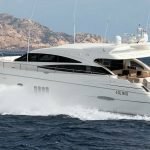 The yacht measures 26,22 mt. 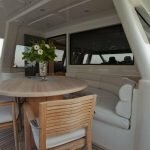 and is great for larger family groups or friends as she can accommodate up to 11 guests in 5 cabins. 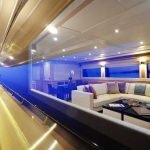 This semi-displacement is almost 7 meters wide, extremely comfortable, and is considered to be one of the quietest vessel in its class. 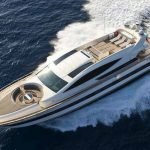 Motor yacht LA PAUSA features a combination of classical styling and elegance together with most innovative technology. 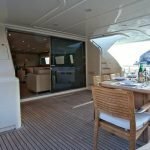 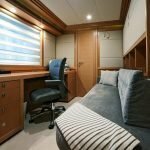 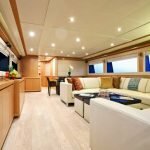 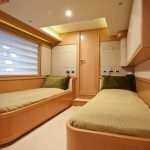 She boasts large windows enabling natural light to filter into the living area and to every cabin, natural woods and leathers, a sky lounge on the upper deck and a large cockpit furnished with an extendable table. 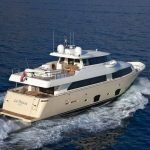 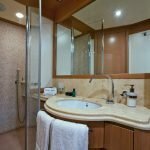 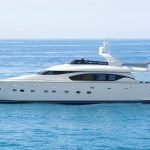 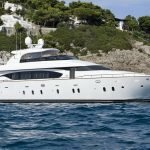 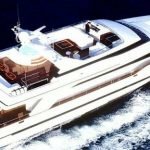 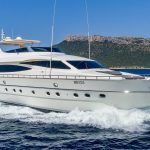 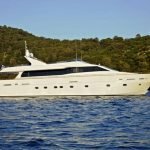 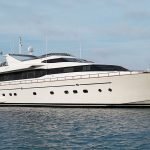 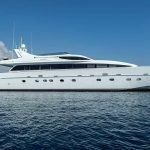 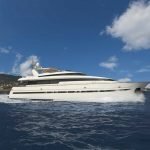 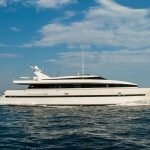 The yacht can accommodate 10-11 guests in 5 cabins including the owner’s suite on the main deck forward plus 4 cabins on the lower deck including two doubles aft and two twin cabins with a Pullman bunk. 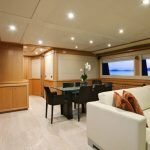 The main deck, with much of its area taken up by the owner’s bedroom, head, and dressing room, has a good-size galley on the starboard side not visible to guests, and a comfortable saloon and dining area leading out into the cockpit. 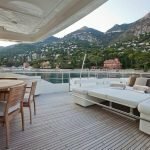 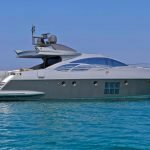 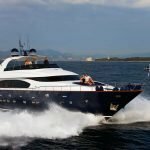 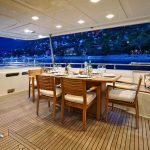 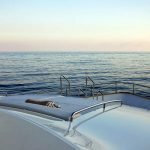 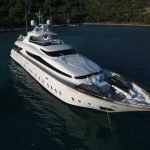 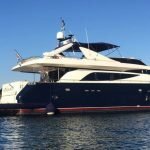 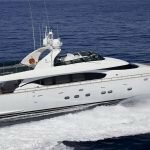 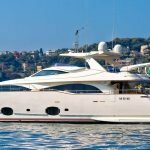 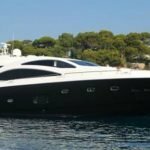 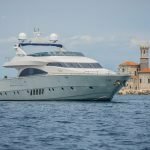 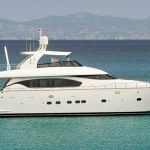 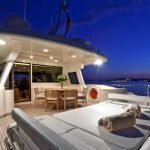 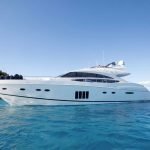 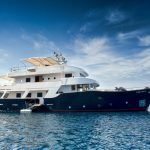 She also has a sky lounge situated behind the helm on the upper deck which is the place to be when underway—in touch with the captain, a clear view all around, with aft-deck access and the galley just a curved staircase away. 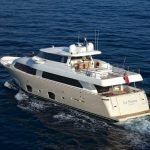 The Navetta 26 LA PAUSA is equipped with latest generation instrumentation, including the new Gi8 control system, which makes it possible to easily monitor and manage controls, utilities and alarms via touch screen. 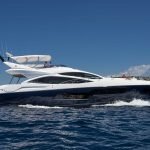 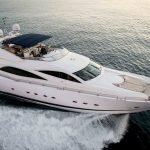 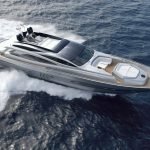 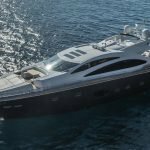 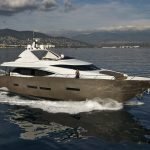 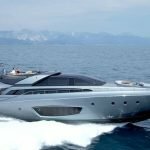 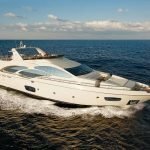 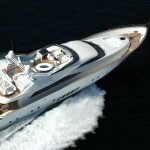 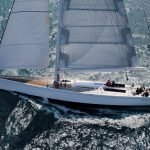 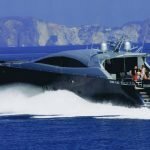 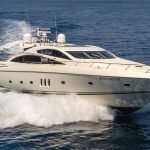 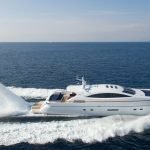 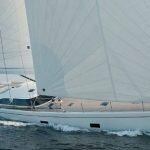 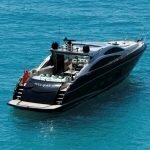 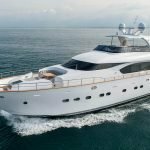 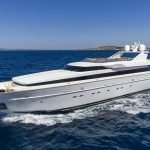 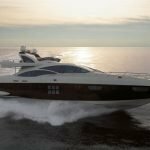 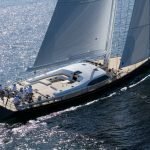 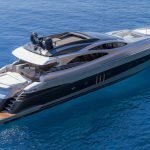 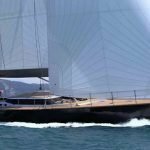 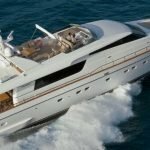 The yacht also features efficient energy consumption and highly autonomous navigation. 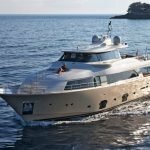 She represents a model of excellence for luxury yachts. 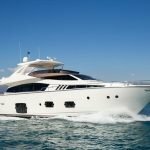 Ferretti motor yacht LA PAUSA has the following amenities onboard: a 4,20 mt. 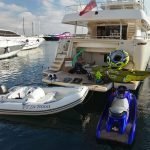 RIB tender Avon Deluxe with Yamaha outboard 60HP, a Yamaha Jet-ski model GP 1300, water ski, Sea-Doo, springboard, wakeboard, snorkeling equipment and fishing equipment.